We’re looking for someone who not only loves food, but is passionate about its preparation, presentation and quality and can work evenings. Western Market is a diverse, fast-paced work environment that challenges individuals seeking to grow into skilled, knowledgeable and passionate team members. Our Prepared Foods counter features delicious, house-made dishes with a gourmet twist and seasonal ingredients. We prefer someone with experience working in a production kitchen using fresh ingredients and various types of cooking equipment. We especially prefer someone with a Food Manager ServSafe Certification. This position is both production and customer service focused, so a cheerful disposition and panache for interacting with our fantastic customers is imperative. 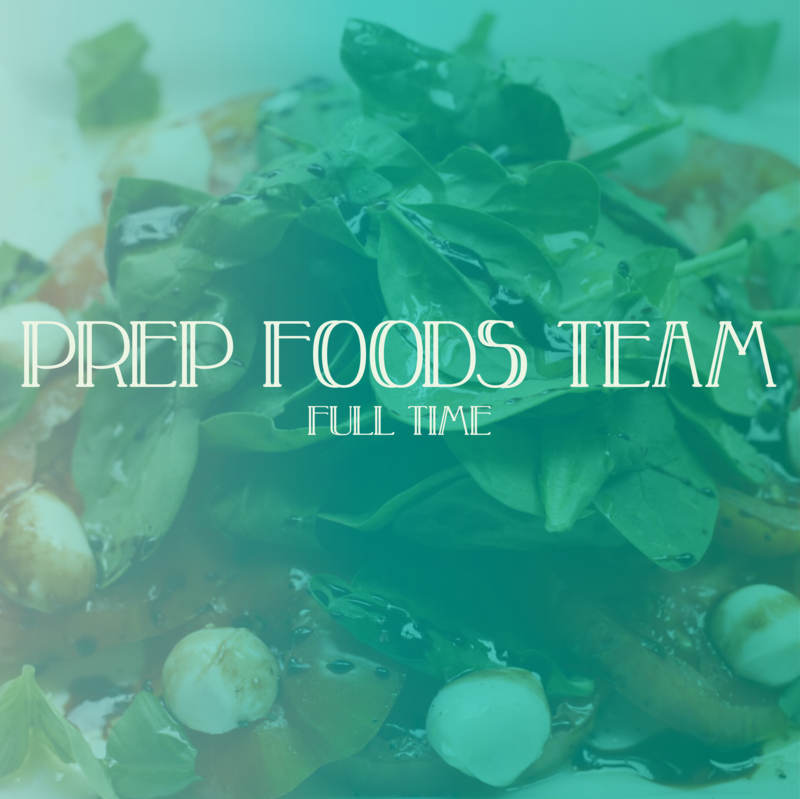 You’ll be working on a team and we’ll expect you to bring a spirit of collaboration and cooperation to the Prepared Foods Department. Have open availability, including weekends. No exceptions! Be available for closing shifts, 2-10P. Be available 32 hours per week, consistently. The Prepared Foods Team Member is responsible for the preparation of the Prepared Foods Department menu items on a daily basis, with an emphasis on quality, consistency and compliance with provided recipes while following safe food handling guidelines in a timely manner. The Prepared Foods Team Member is also responsible for the merchandising and maintenance of Prepared Foods Department displays, providing support to production team members and providing excellent customer service. Store and properly handle raw foods and non-food supplies and materials. Ensure that all items cooked are displayed, covered, dated and rotated according to safe food handling guidelines and production schedule. Maintain a clean, safe and organized production area. Accurately and quickly weigh, package and price/label each item requested by customers. Clean and sanitize production equipment and work surfaces. Communicate product ingredient and preparation information accurately to customers. Working conditions include a fast-paced retail environment that involves long intervals of standing, crouching and reaching while moving product. Exposure to extreme cold (coolers and freezers) and heat (cooking equipment) for extended periods of time. Little to no outdoor work is required. Equipment used: broaster; deep fryer; rotisserie oven; convection oven; food processor; slicers/dicers; safety equipment; knives; knife sharpeners; Hobart scale; flat top grill; robot coupe; emulsion blender; char grill ovens; coffee maker; rice cooker; panini press. Western Market Team Members enjoy a 20% discount on store purchases for their household (some restrictions apply). Full-time Team Members qualify for benefits after a 90-day introductory period. “PREPARED FOODS FULL-TIME” in the subject line. A short paragraph explaining why you’re excited to apply for this position. A complete, properly formatted resume, including professional references (not family members) in PDF format. Wait patiently – please do not call or email again to check the status of your application. If you’re a good candidate for the interview process, we’ll be in touch with you within a week. While the above description encompasses the majority of the responsibilities required of the position, at any time the Management may request that an employee perform reasonable additional duties, which may be required for the safe and smooth operation of the store. Western Market expressly prohibits any form of workplace harassment based on race, color, religion, gender, sexual orientation, gender identity or expression, national origin, age, genetic information, disability, or veteran status. Improper interference with the ability of Western Market’s employees to perform their job duties may result in discipline up to and including discharge.